Feeding time is one of the most important moments in a monkeys day. Therefore it is very important that you take the necessary time to prepare it. A varied diet is very important to avoid boredom and loss of appetite. Commercial primate diet should be included in their meal because it is very balanced and therefore healthy food for your monkey. Make sure that fresh water is available at all times. Feed your monkey twice a day. 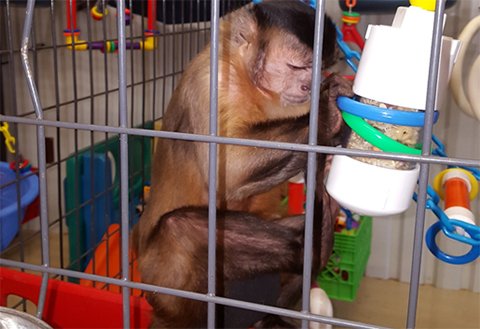 For monkeys like spiders, capuchins, squirrels, marmosets and tamarins you should hang up your bowl or your feeding platform. Depending on the size of your monkey you will have to cut up the food in bigger or smaller pieces. Vitamins are very important for primates. Especially new world primates (like marmosets and tamarins) need extra vit D3 if they are kept indoors (do not overdose). When they don’t have enough direct sunlight extra vitamins are required (or the use of Vitalights) to prevent them from getting metabolic bone disease such as crickets. Never feed your monkey raw meat, baby mice’s or cockroaches (toxoplasmonia, protozoa, helminthes,worms …). Make sure that your fresh vegetables and fresh fruits is washed before feeding. So what do I need to feed my monkey ? Marmosets and bushbabies are known as gum-feeders. With their sharp teeth they gnaw holes in trees to get the gum. In the wild they spend 1/3 of their time doing this. Besides the fact that “it will keep them busy for a while”, it’s also a source of energy, calcium and other minerals. It is known that also other species like squirrels or tamarins like arabic gum. Mix one part of powder with two parts of water (or fruit juice). After two to three hours it’s ready for distribution. 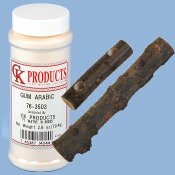 Drill some holes into wood (like branches or bamboo) and fill them with this prepared gum. Put their favorite food in a box which they have to open before being able to access it. Hang up a plastic pipe horizontally with small holes in it and put some bedding and mealworms inside it. Your monkey will have to wait till a mealworm crawls out before he can eat it. Use a plastic bucket with a hole in it (size of your monkeys hand) and put some fruits or vegetables in it. The nice thing about this bucket is that they can only take one piece at the time and there is also something like a surprise effect for them. 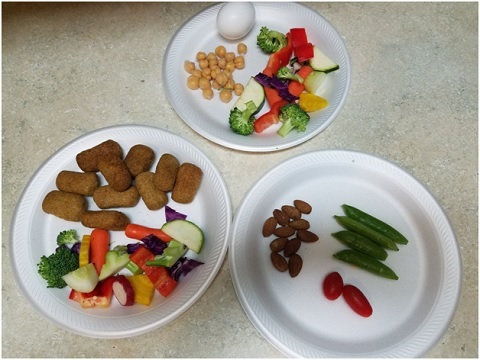 The use of several small feeding bowls on different places can be a good idea too. We also have a list of Primate Recipes at your disposal. Make sure to try them out! Feeding a nonhuman primate can be complicated. How many biscuits should you feed? What kind of vegetables? Are they getting enough fiber? What IS fiber?! Am I feeding too much? Am I feeding enough? It’s no wonder that most of the questions we primate owners have about caring for our monkeys are related to diet. 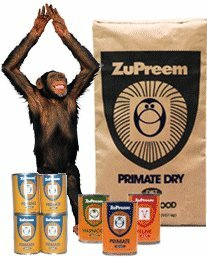 Mazuri, a leading manufacturer of commercial primate diets, recommends that 50% of the primate diet be made up of biscuits and the other 50% made up of everything else that our monkey eats; such as vegetables, fruits, browse, nuts, proteins, etc. BUT, animal diets are always measured by weight, not by volume. To make this even more difficult, foods are measured on a dry weight basis. This means that you must calculate what the food weighs minus the moisture, or water content, in the food. There are numerous complicated formulas for doing this, but most of us in private ownership do not have access to this information. So, what do we do? Fortunately for us, Mazuri recently published a shortcut on their website that can be calculated easily with a kitchen scale. Mazuri recommends a diet of 30% biscuits, 70% other foods by actual weight (not dry weight). This shortcut considers that vegetables, fruits, nuts, seeds, proteins and browse have a higher water content than dry biscuits. So, if we were to somehow squeeze all the water out of a diet of 30% biscuits/70% other foods, the result would be a diet that is approximately 50% biscuits and 50% other foods by dry weight, the industry standard. Still confused? Are you pulling your hair out and screaming, “JUST SHOW ME HOW TO FEED MY MONKEY!”? 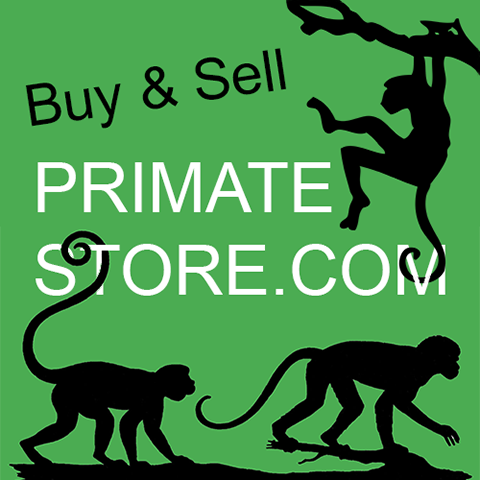 “Browse”, as it relates to primate diets, is plant material such as leaves, vines, berries, twigs and even branches. Wild-living primates consume many types of plant materials that are native to the regions in which they live. Browse is an important part of our captive-living primates’ diets as well. Though we do not have access to the native plants of our primates’ ancestral homes, many common plants in the U.S. are suitable to be fed as browse to our primates. Browse supplies more fiber than even the high-fiber commercial biscuits, and more fiber than many of the vegetables that we feed to our primates. 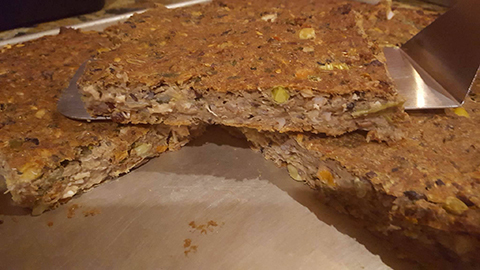 Fiber is an essential element in our primates’ diet as their “gut,” or intestinal tract utilizes fiber to properly digest and metabolize the food they eat. Primates need substantially more fiber in their diets than humans do. 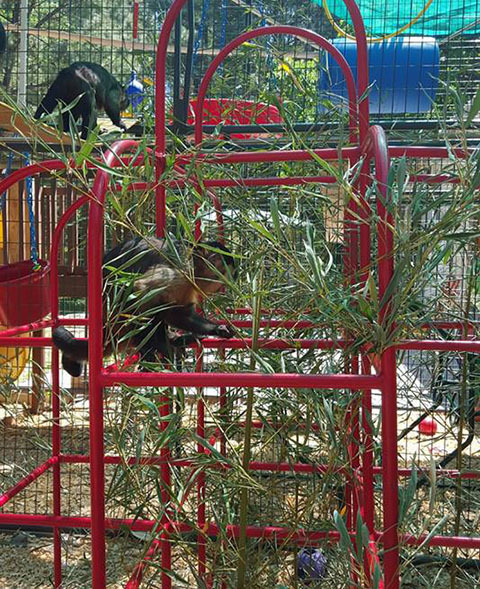 Not only does browse supply essential fiber, but is also a source of enrichment as our monkeys explore and manipulate the plant materials; picking the leaves and berries off the stems and stripping the bark from the branches.